Lorom’s noodl® cable assemblies provide a 40% to 75% improvement in flexibility over industry standard cable assemblies. Lorom noodl® cables are designed to provide both excellent high-speed performance and high-flexibility. High flexibility is achieved by minimising mechanical stresses within the cable and reducing internal friction to the lowest possible degree. Cables that are typically available in the industry have a functional bend radius limit of no smaller than 5 times cable OD. They should not be routed within a piece of equipment where it will be bent at an angle that is less than this, i.e. 3 times its OD. This may damage the internal wires or create a “kink” in the cable which could negatively affect overall performance but more importantly shorten the cable’s usable life. The Lorom noodl® cable in combination with the smallest in the industry back-shell allows a much tighter bend radius. Lorom’s noodl® cable assemblies provide a 40% to 75% improvement in flexibility over industry standard cable assemblies. The above force-deflection graphs demonstrate the force it takes to bend a given length of cable at a certain distance. The slope of these force-deflection curves is equivalent to the perceived cable flexibility. The greater the slope the “stiffer” a cable feels when being dressed into a data center rack’s cable management tray by a user. The diagram below shows the concept of how the cable flexibilities is tested. Lorom has extensive expertise in the design and manufacture of ultra-flexible wire and cable. 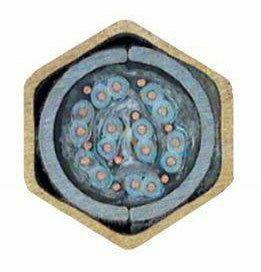 By combining the correct cable construction with the proper choice of conductor, shielding and material compounds. Our custom manufacturing equipment employs state-of-the-art neutralization and tension control. 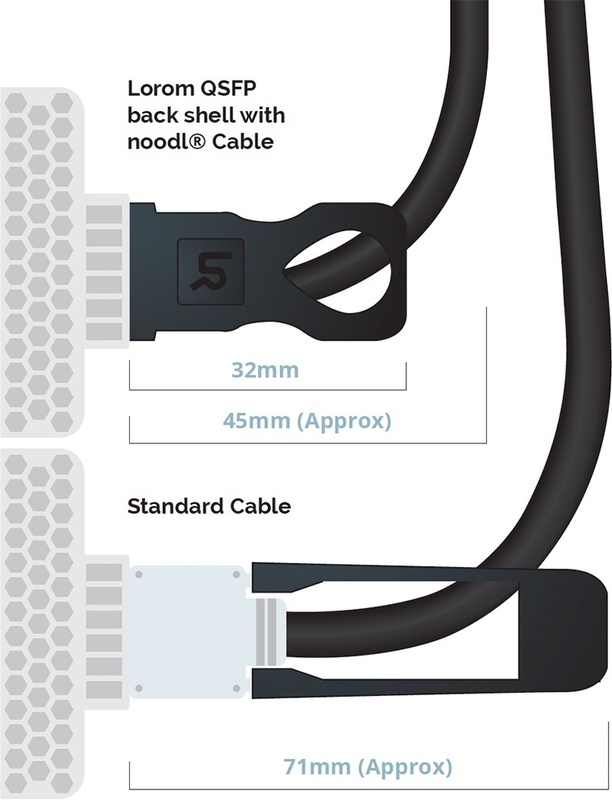 noodl® cable was developed specifically to address cable management challenges in the data center. By combining a wealth of knowledge and experience we were able to create wire and cable that fits both critical application requirements and long life cycles. Our engineering teams were able to apply knowledge gained from other industries we serve that commonly require ultra-flexible cables; such as medical, robotics, avionics etc.. The durability and flexibility of our latest innovation noodl® high-speed certainly pays for itself by reducing field failures, down time of data centers and replacement costs caused by damaged cable assemblies. noodl® is a cost-effective investment for your data center. SFP+ passive copper cable assemblies provide a low cost alternative to fiber modules for short reach applications. They applications such as 10 Gigabit Ethernet and 16G Fibre Channel. For these applications they support bidirectional serial data transmission rates from 1.125 Gbps to 14.025Gbps. Lorom’s SFP+ noodl® cable assemblies include an EEPROM programmed with standardized and customer specific data. This data includes information about the cable assembly such as; supplier, serial number, length, power, and type (copper vs. optical). In addition to Signal Integrity performance, EMC and thermal dissipation performance are critical aspects of SFP+ cable assembly performance. Our 360 degree cable braid crimp termination and our module EMI fingers ensure that EMI radiation is sufficiently reduced. 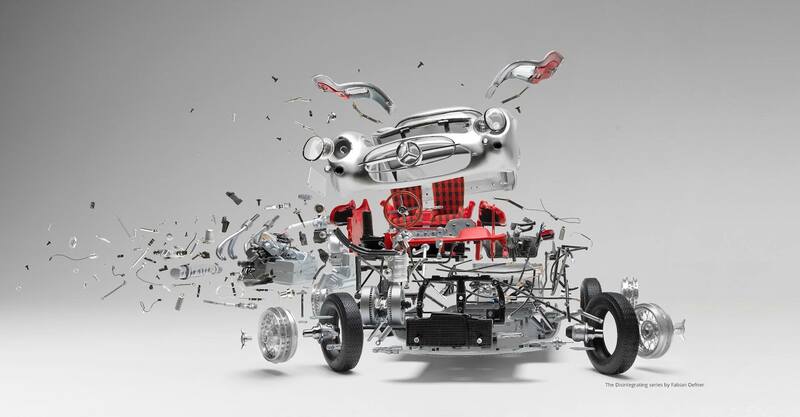 The design of our modules die-cast further aids in cooling as it transfers and dissipates heat. This combined with low power consumption makes passive SFP+ copper cable assemblies a low cost solution for top-of-the-rack, rack-to-rack and within-rack data center applications. Our SFP+ noodl® assemblies are offered in 34awg up to 1.0 meter, 30awg up to 3 meter and 26awg up to 5.0 meters. Other custom gauge sizes and lengths are also available. The proliferation of high-bandwidth applications to millions and even billions of users, will continue to drive Bandwidth requirements. Our advanced technologies for quad small form-factor, QSFP+, applications enable Ethernet and Infiniband applications to continue. 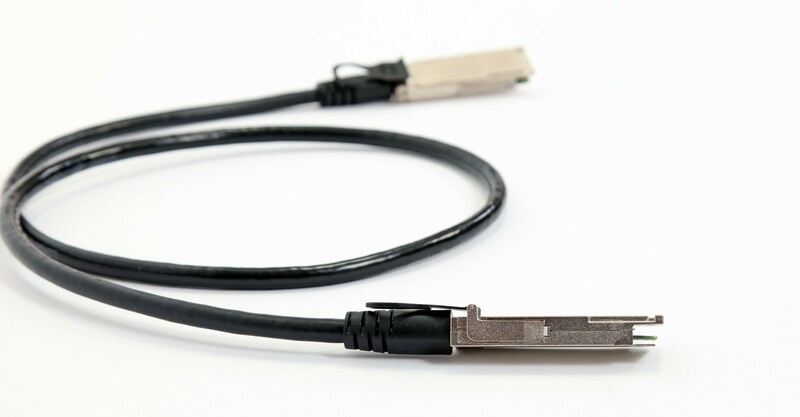 We continue to develop a new QSFP+ cable assemblies with unsurpassed performance. 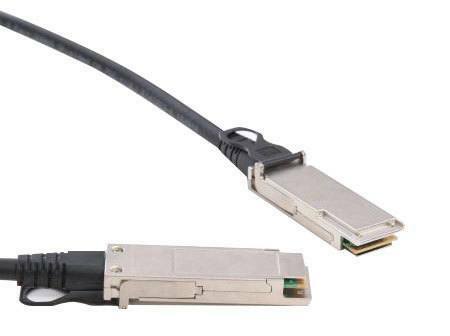 Our newly developed noodl® QSFP+ line is a highly flexible quad form factor. It enables easier cable management and routing within racks. Lorom’s noodl® QSFP+ products offers speeds up to 14Gbps per channel to support the Giga-bit Ethernet and Infiniband FDR. noodl® QSFP+ product line is developed within the SFF MSA (Multi-Source Agreement).